For the first time in Germany, the Frankfurter Kunstverein presents the internationally renowned, showcase exhibition Foam Talent in collaboration with Foam. The exhibition is considered one of the most innovative formats for discovering emerging trends in photography. 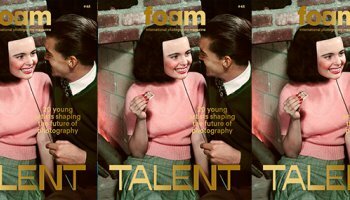 Foam Talent presents 20 young artistic positions, who in extensive installations paint the picture of a generation concerned with questions about social identity, the repercussions of territorial conflicts, subcultural phenomena or the potentials of photographic production. A number of artists employ anthropological methods in their projects and proceed toward intense long-term research. Some take found footage from historical archives, private collections or the Internet and use it as raw material for their artistic investigations. Other positions are characterised by activist approaches as well as strategies of investigative journalism. 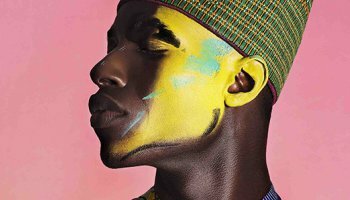 With Sushant Chhabria, David De Beyter, Mark Dorf, Alinka Echeverría, Weronika Gęsicka, Wang Juyan, Thomas Kuijpers, Quentin Lacombe, Clément Lambelet, Namsa Leuba, Erik Madigan Heck, Alix Marie, Martin Errichiello & Filippo Menichetti, Wang Nan, Kai Oh, Viacheslav Poliakov, Ben Schonberger, Sadegh Souri, Harit Srikhao and Vasantha Yogananthan. The exhibition is a cooperation between Foam and the Frankfurter Kunstverein and partner project of the photography triennial RAY 2018. Foam Talent | Frankfurt is made possible by Dr. Marschner Stiftung. Supported by Nordisk Büro and the Kingdom of the Netherlands. The Foam Talent Programme is supported by the Deutsche Börse Photography Foundation and the Niemeijer Fund. Foam is supported by the BankGiro Loterij, De Brauw Blackstone Westbroek, City of Amsterdam, Olympus and the VandenEnde Foundation.